The study covers 1950 through May 2018. Otherwise, it would also include the November 7, 2018, mass public attack at Borderline Bar & Grill, in which 12 were killed. The November 19, 2018, attack at Chicago Mercy Hospital, where three were killed, would not be listed because it does not meet FBI criteria for a mass shooting, but it should, nevertheless, be noted that Borderline Bar and Mercy Hospital were both state-mandated gun-free zones. According to CPRC, 97.8 percent of mass public shootings from 1950 to May 2018 occurred in gun-free zones. These include the Virginia Tech University attack, which killed 32 (April 16, 2007); the Fort Hood attack, which killed 13 (November 5, 2009); the Aurora movie theater attack, which killed 12 (July 20, 2012); the Sandy Hook Elementary School attack, which killed 26 (December 12, 2014); the D.C. Navy Yard attack, which killed 13 (September 16, 2013); the Chattanooga military base attack, which killed 5 (July 16, 2015); the Umpqua Community College attack, which killed 9 (October 1, 2015); the San Bernardino attack, which killed 14 (December 2, 2015); the Orlando Pulse attack, which killed 49 (June 12, 2016); the Parkland high school attack, which killed 17 (February 14, 2018); and the Santa Fe High School attack, which killed 10 (May 18, 2018). 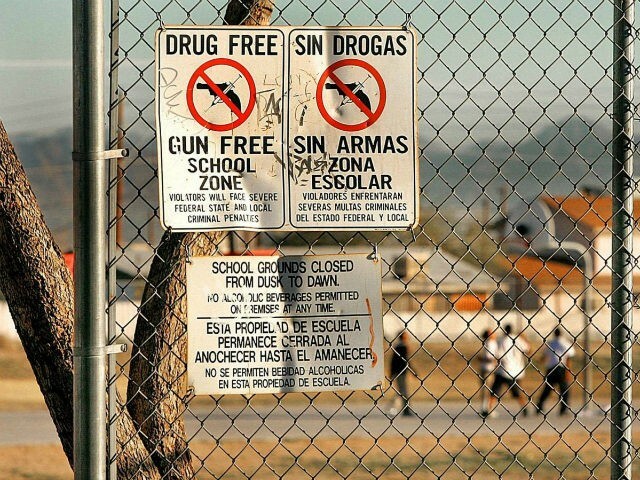 For the purposes of highlighting errors in a report by Michael Bloomberg-funded Everytown for Gun Safety, CPRC also shows figures for a condensed time frame, from January 1998 to December 2015, demonstrating that even in that shorter period, 96.2 percent of all mass public shootings occurred in gun-free zones.